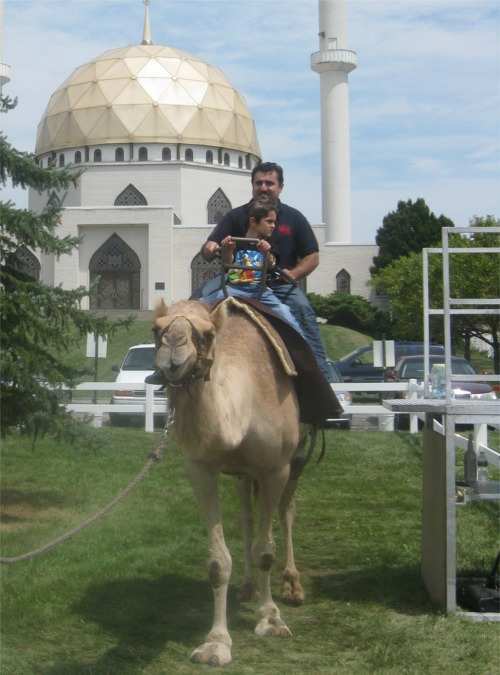 Bring the exotic experience of a camel ride to your event! 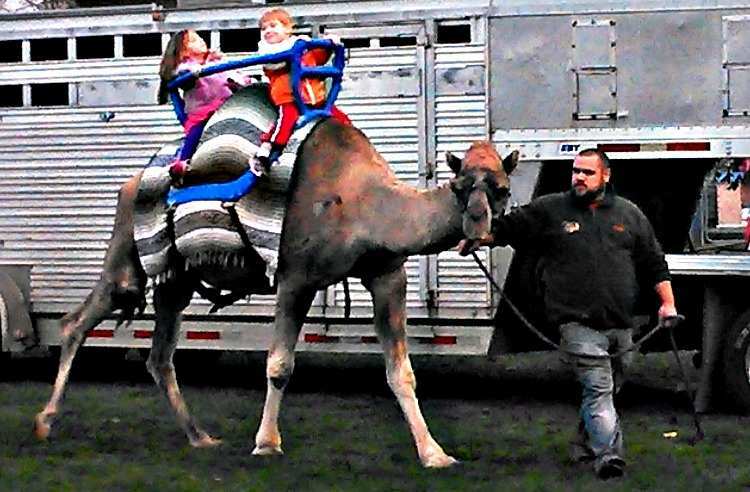 We offer camel rides for fairs, festivals, and shows both outdoors and indoors. 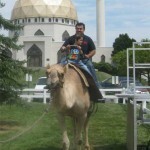 Rides are also available for private parties, picnics, and corporate functions. 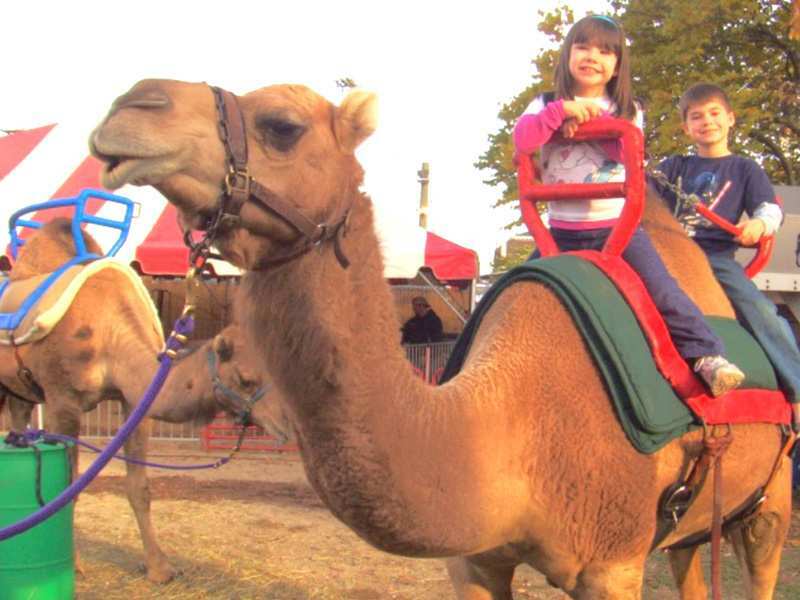 Our friendly and well-trained camels interact with both riders and spectators; and no they do not spit!! Souvenir photos of your ride are available. 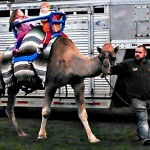 Camel rides are a special addition to any event and a great reason to draw media coverage! 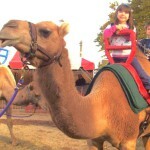 Our camel rides are completely self-contained; you need only provide electric and water. A level area on grass, gravel, concrete, blacktop or hard indoor surface is required. Dimensions of 30′ x 60′ are preferred but “track” size can be adjusted to meet your specific needs.